A few days from now rings in the biggest shopping weekend of the year—are you (and your wallet) ready for it? If you’re among the millions of Americans planning to do some or all of your holiday shopping on Black Friday or over the “Cyber Five” days of online sales, make sure you’re not going into the fray without a plan. 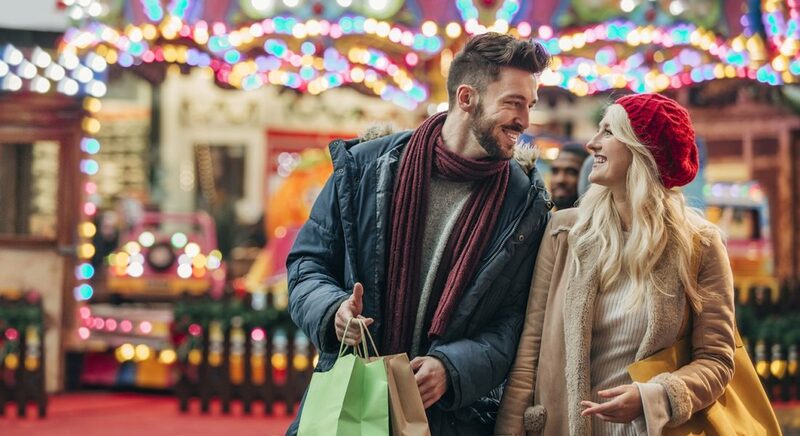 Have a hearty helping of pumpkin pie to keep your shopping energy up and then get the most out of your money this year with these shopping strategies. 1. Have a plan in hand. The last thing you want to do is show up at the doors of your local mall early Friday morning with money to spend and no plan for spending it. You can get worn out and frustrated pretty quickly if you find yourself circling and backtracking through the masses. Make a list of each item you want to buy on Black Friday (ideally, have this list ready by Wednesday.) Then download a map of your mall and devise a strategy for which stores you’ll visit first, planning your route to avoid backtracking. If certain items are higher priority than others, plan your route around grabbing them first before they sell out. Some “great deals” you find on Black Friday really aren’t so great, but it’s easy to fall prey to promotions when you’re hyped up for the holidays. Take some time to research original prices and jot those down beside each item on your list. The truth is, some retailers will even inflate prices in the weeks before Black Friday to make an item seem like a better deal, so next year start your research even further ahead of time—or, you could “cheat” this year by using one of the several apps that can track and show pricing history on Amazon items. CNN and Forbes have both reported that some major retailers will sell special models of TVs, computers, or other electronics that were manufactured solely for sale on Black Friday—and are of lower quality. Before you buy a TV at a bargain rate, run the brand name and model number through Google. If the item shows up as newly-posted with no customer reviews, this could be a hint that it’s a Black Friday model only. *Cyber Monday is now a bit of a misnomer. Many online retailers now start their sales as early as Thanksgiving Day and run through Cyber Monday, a stretch of time called “The Cyber Five.” So don’t wait until Monday to check for deals or you could miss out. 1. Get ready for the online race. There’s always a little bit of risk when entering your personal information online, and it’s no different during the Cyber Five. To protect yourself and your money, make sure you’re doing your shopping over a secure connection and on a device that has up-to-date virus protection. Use PayPal if you feel less comfortable entering credit or debit card numbers into online forms, and remember that credit cards are generally preferable to debit cards, because they add an extra layer of protection between thieves and your banking information. And if an item has numerous negative reviews or if a deal seems too good to be true, it’s probably better to just click away from it. 3. Check for travel deals. When we think of Cyber Monday, we generally think of buying holiday gifts, or perhaps of getting discounted household items for ourselves as well. But don’t forget that the Black Friday weekend is also a great time to check travel sites for deals. After all those holiday trips to visit family, many consumers tend to dial down on travel for the rest of winter—which means potential discounts on hotels and airfare for those of us that do want a winter vacation. In recent years, airfare prediction apps have also pointed out a trend for airfare deals on the Tuesday following Thanksgiving, so you might be able to extend the shopping excitement for one more day. Travel securely and less expensively this holiday season with our tips. Stay warm and save on heating costs this winter with these budget-conscious tips. On the Saturday after Thanksgiving, support small business owners in your community and find unique gift ideas by shopping at local, independent boutiques. If you’re in the Roanoke area, don’t miss Downtown Roanoke’s own Small Business Saturday celebration, which will start in the morning at Market Square with free donuts and coffee to energize local shoppers. On the Sunday after Thanksgiving, do some extra good with all that holiday dough you’re spending this year. You can do this by shopping from your own favorite ethical brands that you know contribute some or all of their profits to charitable causes important to you. Or, you can check out shopforgoodsunday.com and its partner brands if you need some ideas on where to start spending. If you’re just not yet ready for the Thanksgiving holiday to after Monday, consider celebrating Giving Tuesday. This growing social movement will mark its seventh anniversary this year and is supported by organizations and individuals worldwide. To take part, volunteer in your community or make a charitable donation on Tuesday, the 27th of November.